View More In Sauté Pans - Page 4. Bon Chef has been dedicated to manufacturing and supplying the most durable products available to the food service industry. 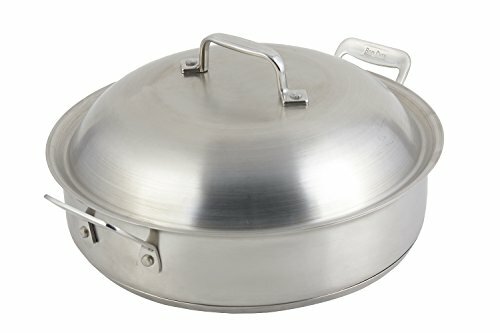 Bon Chef induction bottom cucina sauté pan. Perfect for display. Easy to clean stainless steel. Steel clad for induction cooks and perfect temperature transfer. Measures 13-29/32-inches length by 11-19/64-inches width by 3-inches height.